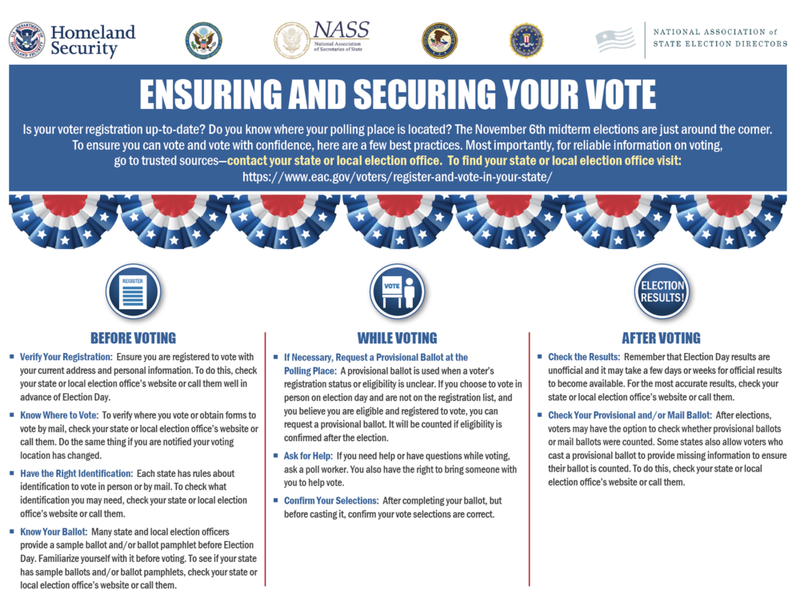 Voters can rely on their state and local election officials as the trusted source for election information. To find your state resources, visit NASED’s resources page and select your state to find a link to your state’s website. If you see misinformation regarding the election or if you have any questions about the process, ask your election official.